Wedding Officiants and MinistersWeddingOfficiants.com is home to the Wedding Officiant Directory and we are proud to promote the services of professional wedding officiants, wedding ministers, wedding celebrants, priests, pastors, rabbis, cantors, justices of the peace, and civil officiants across the globe. As the web’s premier resource for officiants, our mission is to connect engaged couples like you with high-quality local officiants in you area quickly and easily. This website has been in operation since 1999, making it one of the longest-running wedding resources online, and we’ve been matching couples with officiants for more than 15 years. Many couples visit our website not only for our listings of local officiants, but also for the high-quality information available on our Advice & Resources page. There, you’ll find excellent articles ranging from how to find a wedding officiant to the average wedding officiant cost, as well as a sample wedding ceremony script and a collection of popular wedding vows to use in your ceremony. Ready to find local wedding officiants in your area? 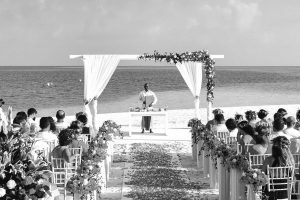 You can start by browsing our officiant directory by location or return to the homepage and use the unversal search box. Congratulations on your engagement, we hope you have a wonderful ceremony! Use our advanced search tools to find wedding officiants by specialty or location. Find the right wedding officiants for your needs by comparing quotes, reviews, and full profiles on each wedding officiants. After searching for wedding officiants, compare details from their listings. It’s easy to search and find the wedding officiants that you need. Read details and learn more about them. Once you find the wedding officiants that you like, contact them to get more information. Feel free to contact multiple wedding officiants to get more responses and ensure you get the best results!